Why would you want to buy a new windows desktop or laptop running Windows XP? If you're familiar with XP, you won't have to learn a new operating system. Also, there won't be compatibility or driver issues between the operating system on your new system and your old devices and software. Also, older desktops or laptops running Windows XP are inexpensive and have a lot of applications. When you purchase a new desktop or laptop running Windows XP, take all the security issues mentioned in this article into account. 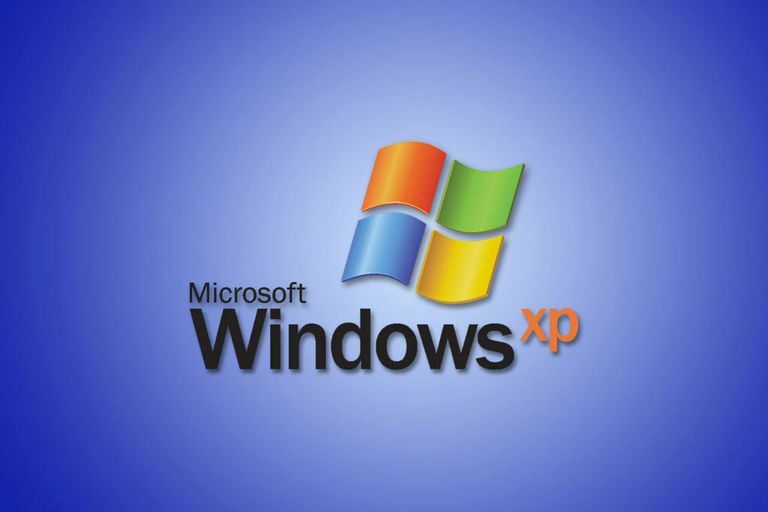 Microsoft ended support for Windows XP in April 2014, and no longer provides security updates or technical support for the Windows XP operating system. Instead, Microsoft encourages users to migrate to a modern operating system such as Windows 10. Despite this, there are some new and refurbished computers for sale equipped with Windows XP. If you decide to buy a new or used desktop or laptop computer running Windows XP, be aware of the security issues you'll need to deal with. Vulnerable to new bugs: Hackers are constantly searching for bugs in existing operating systems. When those bugs are exploited, companies that make the operating system patch those bugs. In the case of Windows XP, Microsoft won't fix those bugs. Incompatible drivers: Since most hardware manufacturers stop supporting Windows XP drivers, you'll need to use old drivers. Old driver software is as susceptible to new bugs as the operating system. Old Software: Most software companies stopped supporting Windows XP, so you'll be working with outdated software on your computer. Outdated software is at risk for hacking as well. Outdated network cards: The older a network card is, the more likely it is that hackers have found problems that they can exploit and hack into your computer. This makes it especially dangerous to connect your Windows XP computer directly to the internet. If you want to buy a computer that has Windows XP on it, there are plenty of ways you can use it and still stay relatively safe. Despite the dangers, there are ways you can use your new Windows XP computer or laptop while minimizing the risks. The following are the top things you can do with a Windows XP computer. A very useful thing you can do with a new Windows XP computer is shove it into the closet and close the door. Just make sure that you install FreeNAS onto it, plug it into your home network, and leave it running. FreeNAS is free, open source software that transforms your computer into a data server that shares data over your home network. Imagine a huge memory stick that you plug into your home network so anyone connected to the network has access to it. That's what FreeNAS transforms your Windows XP computer into. Attackers need to get through your router security to get at your Windows XP computer. You can remove all internet software from the server to further reduce risk. The computer runs quickly when it's only running FreeNAS software. Lockdown security by only providing FreeNAS access to your home users. Plugging a Windows XP computer into a home network isn't as safe as keeping it disconnected. Ensure that your home router security is configured to the highest level possible to reduce the risks. If you're into retro gaming, a Windows XP computer or laptop is cheap and practical. It's ideal for playing any of your old computer games that were created for Windows XP. There are also many retro game console emulators that run great on Windows XP. Use these emulators to run old games for Nintendo DS, PlayStation, and Atari. After the initial setup, disconnect it from the network for full security. Retro games work great on lower performance computers. Windows XP computers are cheap, set up several gaming consoles for your family and friends. It's much easier to set up a home media server than you think. Enable Java on Windows XP and install a simple media server software like SimpleDLNA. When you're done, let the computer run and access your movie library from another computer or DLNA-capable TV in the house. Only devices on your home network have access to the computer. DLNA software has built-in security settings. Store an entire movie library in one convenient place. If you're an avid reader, a laptop running Windows XP makes an excellent e-book reader. All you need to read e-books is any software that opens PDF files. You can easily install Adobe Acrobat on your Windows XP laptop. Keep the computer disconnected from the network for full security. Just transfer new e-books from your network-connected computer to your Windows XP e-book reader using a USB drive. More storage space for your e-book library. Completely secure since it's not on the network. The portability and convenience of a laptop. In all of these cases, keep the computer completely disconnected from the internet to avoid the risks associated with using a Windows XP computer. Regardless of how you decide to put your new Windows XP machine to use, it's important to follow some basic steps to secure it. Install antivirus software: Even if you took steps to secure the computer, install free antivirus software to ensure ultimate security. Update all software: Even though the OS isn't receiving patches, improve security by keeping anything you install on the computer frequently updated. Avoid internet browsing: Because of the risks, it's not advisable to connect a Windows XP computer to the internet. If you do, avoid using web browsers. Install minimal software: The fewer applications that are installed on the computer, the lower the odds are that there will be a software vulnerability that hackers can exploit. Many people choose to discard or recycle their old Windows XP machines. That means there's a massive market of these computers for sale. Don't let them go to waste. There are plenty of great uses for a new computer or laptop running Windows XP.